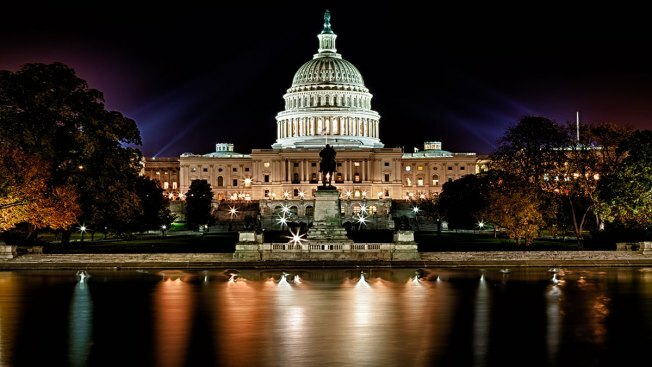 President Donald Trump is set to deliver his State of the Union address at 9 p.m. Tuesday, and that means road closures and restrictions around the U.S. Capitol. 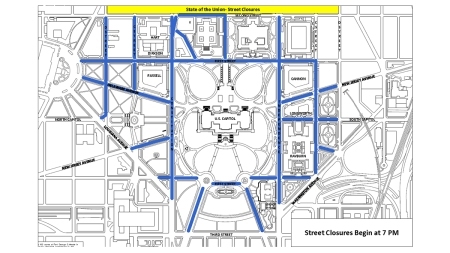 The above road closures will be in place for President Trump's 2019 State of the Union address. All street closures and listed times are subject to change. No vehicles other than those displaying a current congressional parking sticker and carrying an occupant with a valid congressional ID will be allowed on Capitol grounds after 7 p.m. The Capitol Visitor Center was set to close to the public at noon Tuesday and will reopen at 8:30 a.m. Wednesday for tours.